Office 365 for Education provides staff, faculty, and students with email, online document editing and storage, access to the Office Web Apps, and Office 365 ProPlus which includes Microsoft Office for Windows and Mac at no additional cost. Your Office 365 account also allows you to use other features and tools provided by Microsoft such as Office 365 Groups, Delve, Sway, and Planner. Access Office 365 email from your mobile device, desktop client, or web browser. 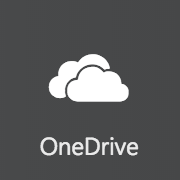 OneDrive for Business on your Mac, PC, Android, iOS, or Windows mobile device gives you a single place for up-to-date versions of your files from anywhere. Share individual files or whole folders. Create and reply to comments on files to get feedback or add ideas. Office Web Apps are touch-friendly web applications that let you create, edit, and share your Word, Excel, PowerPoint, and OneNote files from any browser. Faculty, staff, and students can download and install Microsoft Office ProPlus desktop applications at no additional cost. Once you have left the University, the Microsoft Office ProPlus subscription will end and you will need to purchase a personal subscription. 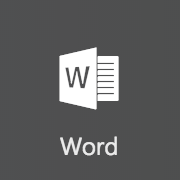 Word, Excel, PowerPoint, and OneNote are available for your iOS, Android, or Windows mobile device. Office 365 Groups include a shared inbox, calendar, and OneDrive for collaboration. 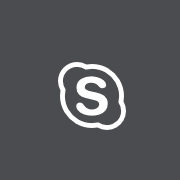 Microsoft Teams is a chat-based workspace available as part of your Office 365 account. A team is a collection of people, conversations, files, and tools that are easily accessible in one place. Create new teams or add teams to your existing Office 365 groups. To use Teams, install the app on your computer or mobile device or access it via the web. 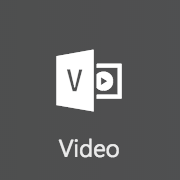 Office 365 Video is a great place to share videos of executive communications, recordings of classes, meetings, presentations, or training classes. Channel quotas are 100 GB. All content must abide by the Acceptable Use Policy, which governs the use of information technology at the University of Tennessee. Requests for channels must be reviewed and approved by a Dean, Director, Department Head, or other authorized sponsor. To request a channel, complete the Office 365 Video Channel request form (PDF).